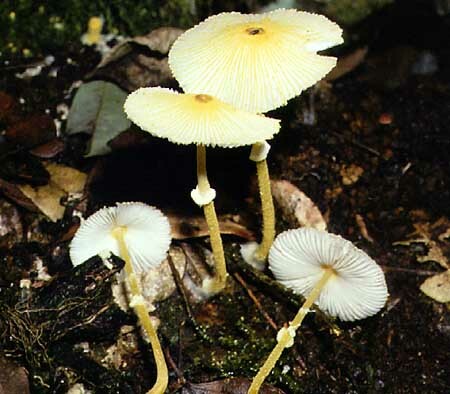 Leucocoprinus fragilissimus (Ravenel in Berk. & Curt.) Pat. This taxon was first described from the southeastern USA (South Carolina), but seems to be Pantropical (Latin America, Africa, Sri Lanka). The basidiomata are extremely fragile making collection very difficult as the basidiomes usually collapse when touched. 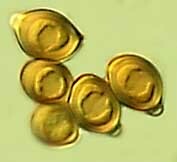 The basidiospores are dextrinoid with a hyaline cap over the apical germ pore.